Today we have been learning about the three states of matter (solid, liquid and gas) and the changes of matter. In this experiment we first put some chocolate in the microwave. This meant that the chocolate changed from a solid to a liquid. Then we poured the chocolate to make shapes. This meant that the chocolate changed from a liquid to a solid when it cooled down. Well done for sharing what you have learnt. What is another example of something changing state? Hi Winnie, my name is Otulea I go to Kawakawa Primary School. This is really cool! Did the chocolate taste better in bar or after you melted and hardened it? 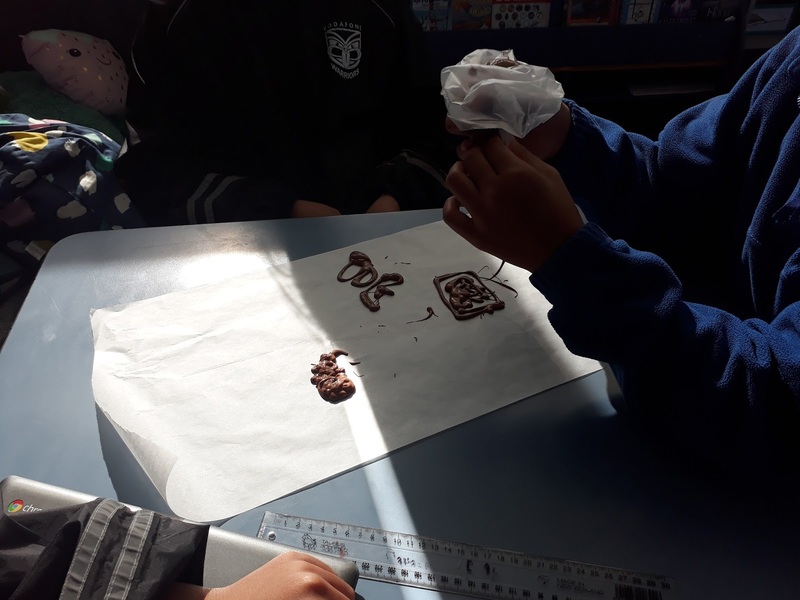 Recently we learnt how the cocoa bean turns from a bean to a bar. Maybe next time melt half the chocolate and eat the other half. Here is my blog OTULEA Blog you later.